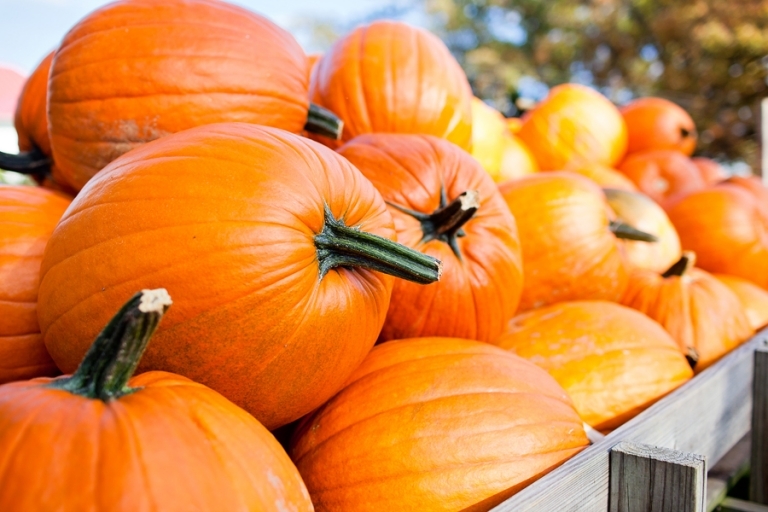 A random fun fact about me: I love the look of pumpkins (they’re so cute and cheerful), but I’m not a fan of the taste and I’m definitely not a fan of the smell! I’ve never liked pumpkin pie – I think it’s a texture thing. So when everyone is going crazy around this time of year for pumpkin-flavored everything, I’m not likely to indulge in any of the treats. Which is odd, because I’m someone who normally does love treats. I’m still happy to see fall displays and carved pumpkins though!